Last Monday, the United Nations High Commissioner for Human Rights added to mounting criticism against the Trump administration’s immigration policy. The “zero-tolerance” policy which separates irregular migrant families at the border is “unconscionable” and amounts to “abuse,” according to Zeid Ra’ad al-Hussein. Trump eventually addressed rising pressure by signing an executive order which paused family separation (although fails to address reunification of already-separated families). One day before issuing the order, however, Trump dealt a major blow to human rights more generally: he pulled the United States out of the United Nations Human Rights Council. 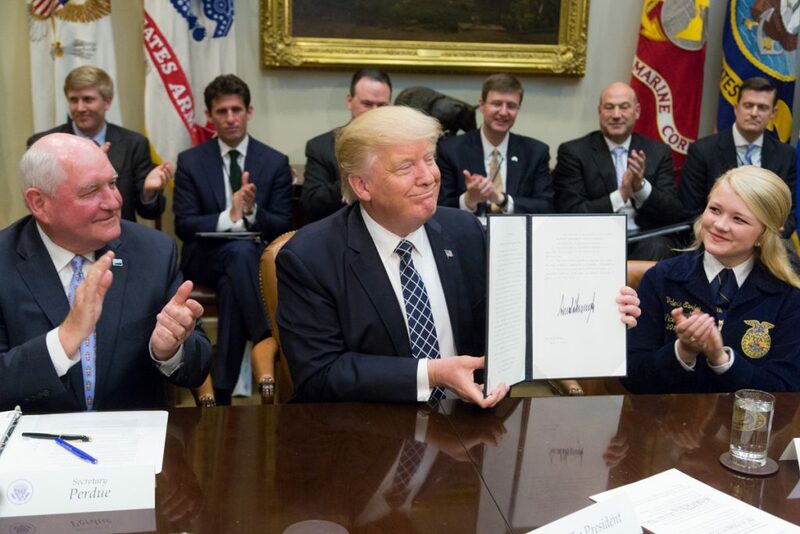 Trump displays a signed executive order. Official White House Photo by Shealah Craighead, via WikiMedia Commons. Leaving the UN Human Rights Council, although inflammatory, is not a surprising move. In the less than two years since Trump took office, he has announced the United States’ withdrawal from the Paris climate accord, the Iran nuclear deal, and the UN educational, scientific and cultural organization (UNESCO). He has also (unofficially) withdrawn his support from the G7 Communique and has threatened to tear up the North American Free Trade Agreement (NAFTA) in favour of bilateral agreements. In many ways, Trump’s criticism toward multilateral institutions is valid. The G7 spectacle can indeed seem like a “distraction” from more important business. NAFTA has in fact hurt certain American workers. The UN Human Rights Council is indeed “hypocritical” and at times “dysfunctional.” The Paris climate accord is in fact relatively “ineffective.” Contrary to what Trump may think, the rest of the world already knows these organizations are imperfect. The difference between Trump and the rest of the world, however, is that we know imperfect doesn’t mean worthless. Despite several flaws, the United Nations Human Rights Council has substantially contributed to the protection and promotion of human rights worldwide. 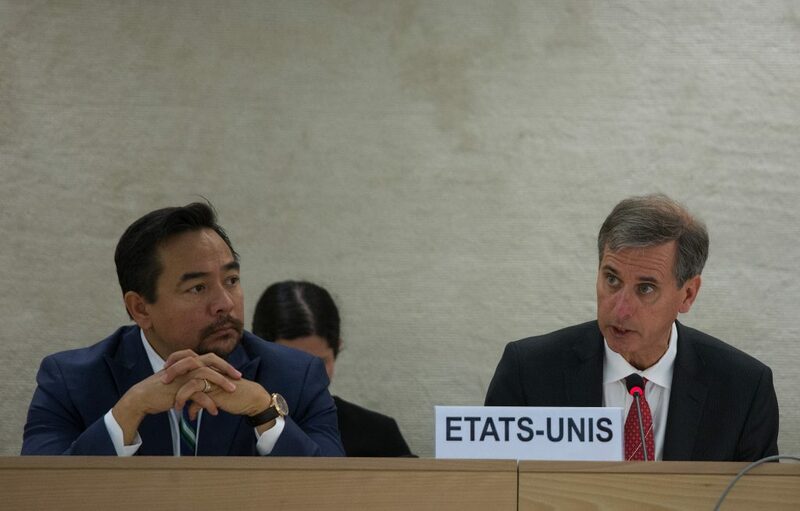 Since its inception, the Human Rights Council has refocused UN peace operations to emphasize preventing and responding to human rights violations. Since 2006, the Universal Periodic Review has assured that all UN member states get regular and equal feedback on their human rights regimes. Several UN funds have been set up to help more than 70,000 victims of human rights abuse annually. Symbolically, but crucially, the Council has brought human rights issues to the forefront of the global conversation surrounding political and economic development. The UN Human Rights Council is flawed. It is, however, still incredibly important. All countries, including the US, are worse off when they stop participating in it. The United Nations Human Rights Council adopts a final US Universal Periodic Review Outcome Report. Photo by United States Mission Geneva, via Flickr Creative Commons. Not only are multilateral institutions beneficial now, they are also constantly improving. Institutions like the UNHRC are permanently in flux, profiting from the continued interaction of their members. Nikki Haley, the US Ambassador to the UN, exemplified this best when she pushed for reforms to the Human Rights Council. Unfortunately for Haley, reforms to overhaul an international body usually take more than the one year she afforded. Impatience and ignorance have meant that the United States will no longer have a voice in reforming the UNHRC, leaving both the Council and the U.S. worse off. Trump’s decision to quit the UN Human Rights Council is simply one more line on his long list of dangerously isolationist decisions. The trend reflects a fundamental misunderstanding of multilateralism: that imperfection makes it void. Multilateral organizations like the UNHRC are both worthy despite their faults, and full of potential for improvement. Until Trump comes to recognize this reality, both the US and the institutions that it abandons will continue to decline in influence. Feature image by Shealah Craighead, via WikiMedia Commons.